This is a 1935 Ford Type 48, with a custom coach-built cabriolet body. Little was known about the car's past until the body panels were stripped to bare metal for restoration. It was evident from the modifications and previous damage that the car had been confiscated for use by the German military during World War II. The current owner located the car in March of 2005, in Portland, Oregon, through an ad on E-bay. The auction reserve hadn't been met, but a subsequent phone call resolved the situation amicably and the car relocated to Jacksonville, Florida. The bodywork is from Drauz of Heilbrunn, Germany, and the chassis was built by the Ford Werks A.G. Koln, Germany. This is proven by the red Ford/Koln emblem and the German data plate. Notable European features include suicide doors, louvered hood sides, landau irons and German instruments. This is one of two examples known. This is one of four known 1935 custom coach built Fords. The body is 'metal-over-wood' construction and is the only one of this style from the coach-builder. This is a classic German styled Cabriolet with the body channeled over the frame and the low side top with strong chrome landau irons giving the car a racy sleek European line. There are several unusual features of this auto including: Ford of Koln grill emblem (in red), suicide opening doors, louvered hood sides, frenched in spare tire and German gauges. The addition of GM's 5.3L V8 to the HUMMER H3 Alpha for 2008 has resulted in some trickle-down goodness for the SUV's pickup truck platform-mate, the Chevy Colorado. 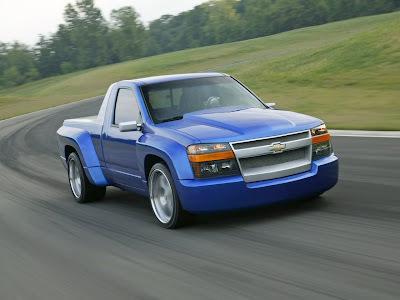 PickupTruck.com is reporting that the smaller Chevy truck will indeed receive the same infusion of V8 power in 2008. We've driven both the Silverado and the GMC Sierra with that engine, and we liked it a lot in the big trucks. Imagining it in the Colorado has grins spreading across our faces, as it will certainly add a good amount of pop, and with the 5.3's cylinder deactivation system, it should also be respectable at the pump, considering it'll have a lot less truck to move around than with the GMT900. The addition of the 295-horse V8 will catapult the Colorado to the top of the heap in the midsize pickup segment in terms of power, edging the new Dodge Dakota (290 hp), and putting it well beyond the Toyota Tacoma and Ford Ranger (numbers 1 & 2 respectively on the sales charts). GM's been teasing everyone with V8-powered small concept pickups for a while now, and though it won't officially confirm or deny the report (a spokesman only says, "stay tuned"), it sure looks like the General's finally decided to give us the real thing. Good. * new “Sky Slider” fabric roof that opens full length or partial length at the push of a button. Liberty’s exterior view does not deceive: It offers more space inside for cargo and storage, plus a more comfortable seating arrangement. Overall length outside is increased 2 in., and the width is greater, too. Inside, rear-seat leg room is greater by 1.5 in. Another noticeable change has the spare tire removed from the rear door; now the back opening is a liftgate with a flipper glass window. 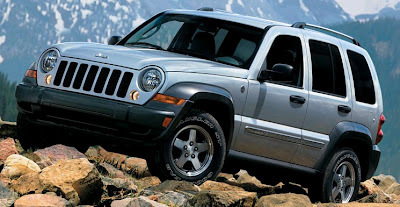 Despite all the changes on the exterior, Liberty is still easily recognized as a Jeep. Traditional Jeep designs in the new appearance include the seven-slot grille, “clamshell” hood and trapezoidal wheel-well flares. 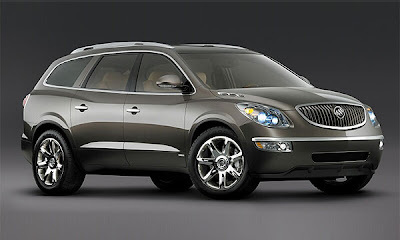 The new Enclave takes Buick back to the brand's roots with a quiet ride, striking style and smooth performance. 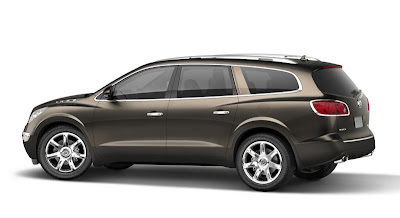 The Enclave shares a platform with both the Saturn Outlook and the GMC Acadia, but because it's a Buick, this eight-passenger crossover is more about pampering. 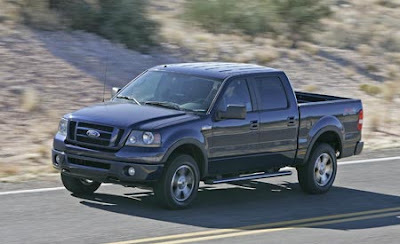 Power comes from the same 3.6-liter, 271-hp V6 as the GMC and Saturn models and comes paired to a six-speed automatic. Front-wheel drive is standard, but all-wheel drive is on the options list—as is a choice of 18-inch or 19-inch wheels. If you want some serious bling, there’s a 20-inch wheel available as a dealer-installed option. Fuel economy is rated as 16/24 (city/highway) for the front drive Enclave, and two less in each category for the all-wheel drive model. But Enclave is more about style and ride than simple raw numbers. Of the three GM crossovers built on this chassis, Enclave offers the most appealing—“sensual,” the company calls them—bodylines and quietest ride. Showing off Buick’s luxury outside are curved fender creases in the front and rear, plus a waterfall grille. Refined “ventaports” on the hood recall Buicks of past. Inside the cabin, the theme remains high style, with wood grain trim highlighted by bright metal borders—not to mention a real wood and leather steering wheel. Oh, and don’t overlook the wood-chrome-leather shift lever that completes a luxury message. 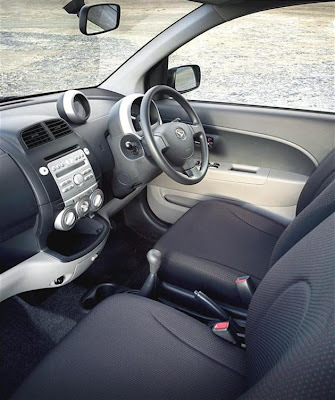 Enclave’s seats accommodate eight passengers in a two-three-three arrangement from front to back. Second- and third-row seats are 60/40 bench types that fold down for added stowage space. Or, order captain’s seats for the second row, and you get a walk-through passage to accommodate rear-seat passengers. Buick’s reputation for a quiet ride is enhanced in this latest model. One example is the laminated glass in the front-door windows. Another is the acoustical windshield glass that uses a filler of sound-absorbing material. Foam fillers in structure voids offer more sound filtering in addition to strength. Special engine mounts are designed to all but eliminate engine vibration during idle and high-speed operation. However, a short comparison with the front-drive version revealed more than subtle differences. The front drive took curves much less nimbly, offering front tire scrub in moderate turns where the all-wheel drive held the line. For all its size and nearly 5000-pound curb weight, the vehicle drives “small,” and offers an outstanding turning tightness, given its comfort-based, 119-in. 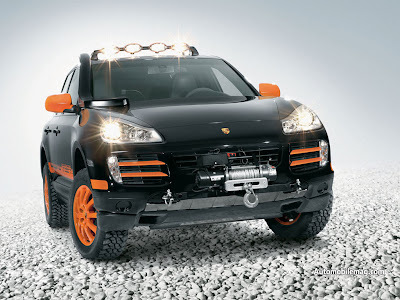 wheelbase and front-wheel-drive design. Believe it or not, Buick-one of America's oldest car brands-actually sells more units in China than in the States. Of course, Buick also has a wider product line in China, with everything from a rebadged Suzuki Reno hatchback to a minivan. To show its love for its loyal Asian buyers, Buick decided not only to have its Chinese studio design this new concept, but also to debut the car in Shanghai. The Riviera concept revives a name that hasn't been seen since the last generation car died in 1999, and it's a very important nameplate for Buick. When the original Riv' was unveiled in 1963, it blew the world away with its elegant, timeless design. It is still looked at as one of GM's best designs of all time, and the car was even on our "25 Most Beautiful Cars" list in September of 2006. This new design is meant to bring some excitement back to the Buick brand, not just in China, but around the world - the Riviera demonstrates a new design language that will be used on all future models. Based on GM's Epsilon architecture, the Riviera concept is about the size of a Pontiac G6 and uses a hybrid powertrain (heading to production in China next year) driving the front wheels. Those may seem like the wrong drive wheels for a sports coupe, but there has also never been a rear-drive Riviera. The body is made completely out of carbon fiber, other than the glass roof, and the doors swing up gullwing-style to show an elegant cabin with 2+2 seating. Twenty-one-inch wheels and badges that glow at night add great details to the car's appearance. Some Buick fans might think that this concept is too sporty for the brand, but we think that Buick needs a change. Just as the original Riviera looked to the future and brought some soul back to Buick, this concept looks at a changing market and, if it sees production, might just save the fledgling brand here in its motherland. Audi calls it a coupe, but we'd say this concept is a four-door crossover. 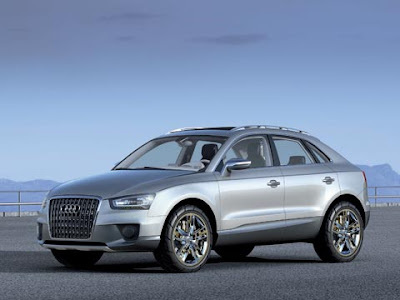 An Audi USA spokesman insisted that this is not the upcoming Q5 SUV (which we should see early next year), but is instead an exploration of a sportier blend of car, wagon, and SUV. You could throw in convertible too, what with the Cross Coupe's huge, power-operated canvas sunroof. Mechanically, the Cross Coupe is based on the Audi A3, with a transverse-mounted 2.0-liter, 204-hp TDI (with Bluetec exhaust cleansing technology) mated to Audi's S-tronic gearbox and, naturally, all-wheel drive. 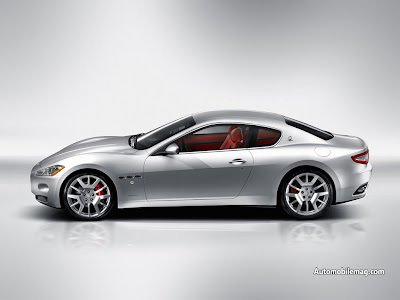 The concept rolls on 20-inch wheels and is slowed by ceramic disc brakes. The suspension, of damper struts in front and multiple links in the rear, also features magnetic, adjustable dampers. In this car, Audi's MMI (Multi Media Interface) supplements its familiar knob controller with a touch pad for more intuitive control of some functions-a technology that's coming to Audi production cars as well. 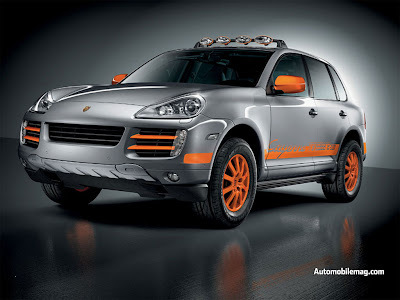 Here, the MMI allows selection of "dynamic" (normal), "Sport", and "efficiency" driving modes. 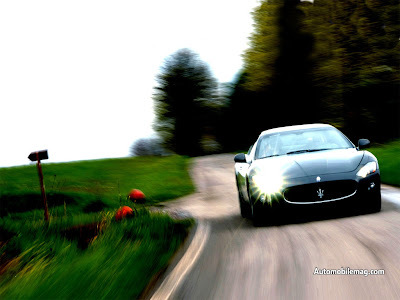 Sport calls up more aggressive throttle mapping, transmission shift patterns, and damping. Efficiency likewise affects the transmission, as well as the cruise control (allowing some fall-off in speed on long upgrades) and the A/C (switching it off unless the driver overrides). So much for the mechanical bits. The question is: How seriously should we take this car? 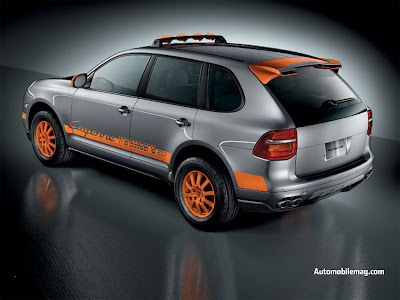 After all, Audi has taken us down this road before, with the Steppenwolf in 2000 and the Road Jet in 2006. Stefan Sielaff, head of Audi design, describes the Cross Coupe quattro as "a good mixture of the genetic code of the Road Jet and the Steppenwolf. But this time," he adds, "I'm sure we'll get the car into production." For Jaguar sedan design, time stopped in the 1960s. Today's X-type and XJ sedans both follow in the tire tracks of the first XJ, which debuted in 1968, while the S-type apes the even older, early-'60s Jaguar Mark II. Design chief Ian Callum is determined to drive Jaguar styling out of its cul-de-sac, and the Concept XF is the first indication of where he plans to go. Interiors will use wood as both a structural and a decorative element. 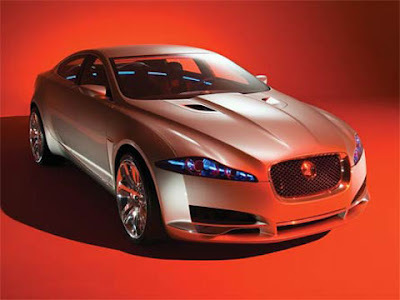 Jaguar cabins will be styled so as to emphasize their width, and technology will be discreet. The RD-6 and R-coupe concepts--as well as the new XK--follow this philosophy, but the C-XF is the first Jaguar sedan to do so. Jaguar has announced that the S-type will be replaced in spring 2008 with a car called the XF, so the C-XF clearly points the way toward that production model. How close is the C-XF to the XF? "It's that styling direction, but it's not that car," says Callum, adding that "it's a less radical version of that shape." He characterizes the concept's design as "twenty percent exaggerated"--particularly in its low roofline, its wide track, and its pumped-up details. The C-XF's 114-inch wheelbase is virtually identical to the current S-type's, and the concept is an inch longer overall. But the C-XF is significantly taller than an S-type and wider than an XJ. A supercharged, 420-hp, 4.2-liter V-8 mates to a six-speed manu-matic in the C-XF, but the production XF surely will be offered with a V-6 and Jag's normally aspirated V-8 as well. We'll find out how closely the production XF mirrors the C-XF concept this fall, when the XF will be unveiled, perhaps at the Frankfurt auto show. "In the Miller cycle, the intake valve is left open longer than it would be in an Otto cycle engine. In effect, the compression stroke is two discrete cycles: the initial portion when the intake valve is open and final portion when the intake valve is closed. This two-stage intake stroke creates the so called "fifth" cycle that the Miller cycle introduces. As the piston initially moves upwards in what is traditionally the compression stroke, the charge is partially expelled back out the still-open intake valve." 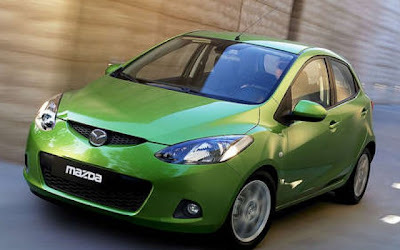 HIROSHIMA, Japan--Mazda Motor Corporation has developed a new, naturally aspirated MZR 1.3L Miller-cycle engine, which will power the all-new Demio (known as the all-new Mazda2 in overseas markets) when it goes on sale in Japan in July 2007. In combination with Mazda's first continuously variable transmission (CVT), the engine will assist the new Demio to achieve a 10-15 mode fuel economy of 23.0 km/L, an improvement of approximately 20 percent over the 19.2 km/L rating of the current model. The Demio model with the naturally aspirated MZR 1.3L Miller-cycle engine combined with the CVT transmission achieves a fuel economy that is rated as 20 percent or better than the level specified by Japan's 2010 fuel economy standards. Exhaust emissions are also at least 75 percent lower than 2005 standards, which conforms to Japan's Super Ultra-Low Emissions Vehicle (SU-LEV) standard and qualifies the Demio for Green Tax exemptions. Buick was the special child in the GM family: the beautiful and temperamental second-oldest daughter that somehow always got the most attention from Daddy. Sure, oldest daughter Caddy got to wear the family jewels and formal gowns, but Buick was lavished with style. Whether it was Harley Earl or Bill Mitchell, GM’s top stylists always blessed Buick with their best efforts. For decades, Buick was maintained in the style to which she had become accustomed, and remained America’s fashion-conscious upscale buyers’ wheels of choice. And then, not. Scotsman David Dunbar Buick founded his eponymous automobile company in 1903. The following year, the inventor of the overhead valve engine sold the struggling concern to James Whiting, an ambitious wagon builder. Whiting turned to William Durant to help jump start Buick. With an excellent product to sell (the Model C), Durant’s energy, affability and marketing genius ensured Buick’s ascension to profit and glory. Durant used Buick’s revenues to acquire dozens of other automakers and form General Motors. Right from the get-go, Buick was GM’s anchor brand. Durant capitalized on the company’s engineering excellence and reputation to expand sales around the globe. In 1926, Buick sold a then-staggering 260k cars. The Great Depression hit the brakes but good; annual Buick sales plummeted below 40k. GM President and future CEO Alfred Sloan used the downturn to rationalize GM’s brand portfolio. He slotted the consummate “doctor’s car” between affordable Oldsmobile and unapproachable Cadillac. By the late thirties, GM’s inter-brand demarcations had begun their inexorable erosion. Buick’s product line overlapped a significant portion of Olds’ and Pontiac’s price range. As internal competition intensified, Buick cultivated two selling points to stay ahead: performance and style. Throughout the ‘30’s and into the ‘40’s, Buick espoused its General Manager’s “more speed for less money” maxim. 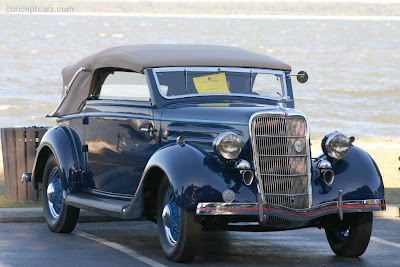 In 1936, Buick had a brand-new 320-cid 120hp straight-eight, designed for the large and heavy Series 80/90. When the company shoehorned the big eight into the smaller and lighter Series 40, it was dubbed Century, for its readily attained top speed. Thus the first factory production “hot-rod” was born. When Harley Earl joined GM in 1927, he created the Arts and Color Section: the car world’s prototype styling studio. Earl used the Buick brand to showcase his most significant creative output. Earl’s Buick Y-Job of 1938 was the world’s first dream-car. Unlike the European salon specials sold to exclusive buyers, the Y-Job’s was created to build excitement for future GM products, and showcase their styling direction. The Y-Job succeeded brilliantly; it solidified GM’s global styling leadership. And Buick’s. The 1951 Buick LeSabre and XP-300 dream cars initiated the GM Motorama era, a grand traveling carnival of GM-think. Until 1961, Motoramas showed Americans a tempting glimpse of the (ever better) good life to come, from cars to kitchen appliances. And GMAC would finance the dream. The consumer era was now in high gear, and Buick style led the way. Buick enjoyed its greatest market-share success in the mid-fifties. From 1954 through 1956, Buick was America’s third most popular automotive brand. During those heady days, models like the Century, Super, Roadmaster and Special defined affordable American automotive luxury, class and power. In ’57, Plymouth’s radical models pushed Buick back to number four. But it was Buick’s horrendously overwrought ’58 models that really hurt. Renaming 1959’s Buick entire line-up (LeSabre, Invicta and Electra) didn’t help. By 1960, Buick’s market position had tumbled to ninth. Buick desperately needed a new make-up artist, and found it in Bill Mitchell. The 1963 Riviera coupe was Mitchell's tour-de-force: one of the most beautiful American cars of the post-war era. 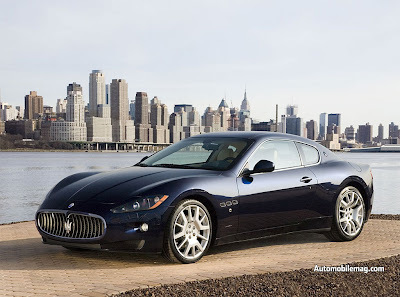 It had the class, cachet and authenticity of a Mercedes CL or Bentley Continental. The Riviera’s halo effect worked; by 1965, Buick was back to fifth place. Fast forward a decade, and Buick’s hot new coupe is the execrable Skyhawk, a clone of Chevy’s Vega-based Monza. Alternatively, Buick intenders could contemplate the Skylark, a padded landau-roofed version of Chevy’s Nova. The preceding and ensuing string of badge-engineered disasters were unleashed at the exact moment when Buick needed to strengthen its roots– style, performance and quality. Up-scale import competition from Mercedes, BMW, Audi and later, Lexus, stole traditional Buick customers by the tens of thousands. Buick’s subsequent decline is too painful to describe in detail, especially during the mid to late eighties. After that, it was either too little too late, or another kick in the groin, like the Rendezvous. No wonder Buick packed her bags and slipped away to China, where she’s once again adored and idolized. All she left behind moldering in American showrooms are ghosts, pale shadows of her former stylish self. And plenty of beautiful memories. 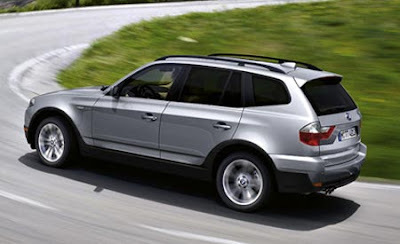 Future BMW X3: Made in the U.S.A.
BMW AG has made it official: It will build the next generation of the X3 SUV in-house, at its plant in Spartanburg, South Carolina, when its current contract runs out in 2010–2011. While not unexpected, it is a blow for Magna International which currently assembles the X3 for BMW at its Magna Steyr plant in Graz, Austria. In preparation for the addition of the X3, which launched in January 2004, Magna purchased its next-door neighbor, Chrysler’s Eurostar plant that was making minivans and PT Cruisers. Once Magna owned the whole complex, minivan production moved to Magna’s original plant; PT Cruisers were consolidated at the Toluca, Mexico, plant; and the vacated Eurostar space was prepped to set Magna up as the sole source for the new BMW. 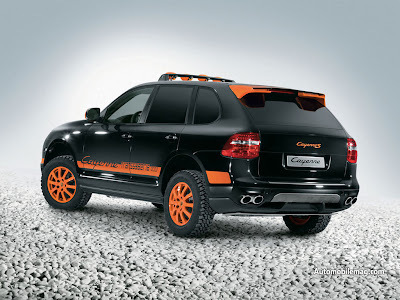 In 2006, the X3 represented about 45 percent of Graz’s total vehicle output. But the writing has been on the wall since BMW officials began suggesting the next X3 could share underpinnings with the Z4—and both could end up adopting the new 3-series architecture. BMW is spending $3 billion to expand capacity at Spartanburg within three years from 140,000 units annually to 200,000. It already revamped operations, replacing two separate assembly lines with a single flexible one that builds the Z4 and the midsize X5 SUV. The new coupe-shaped X6 (based on the X5) also will be sourced out of South Carolina next year. 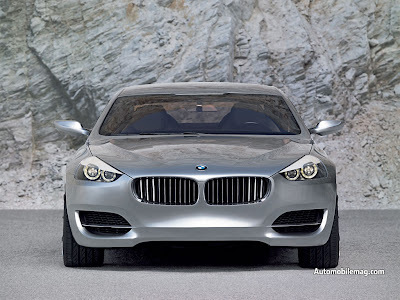 The continued strength of the euro vs. the dollar is one of the reasons for building more of the BMW lineup in the U.S. Meanwhile, Magna, which specializes in niche-vehicle production, says it is talking to customers to fill the excess capacity that looms in a couple years. That includes discussions with BMW, which is studying whether to source a different vehicle from Graz. 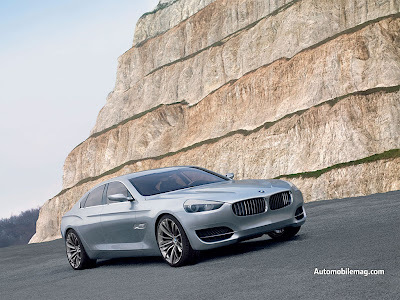 The German automaker could be mulling something along the lines of the Concept CS revealed last month at the Shanghai auto show, and based on the 7-series. 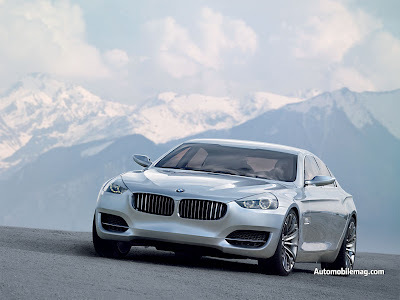 Or a smaller luxury sports tourer, based on the 5-series, could be under consideration. It’s not been a good week for Magna. The Canadian parts maker also learned it lost out on its bid to buy Chrysler Group. Cerberus Capital Management is buying an 80.1 percent stake in the automaker in a deal expected to close in the third quarter. Tom LaSorda, president and CEO of Chrysler present and future, spent his first day back on American soil filling in the blanks and debunking misinformation following the surprise announcement May 14 that the 83-year-old automaker had been sold and will soon be a standalone private company. LaSorda was still bleary-eyed and jet-lagged from the flight back from Stuttgart, Germany, where the news came out that a deal had been reached to sell Chrysler. New York equity firm Cerberus Capital Management will own 80.1 percent of Chrysler while former parent DaimlerChrysler AG will retain 19.9 percent. The new Chrysler will consist of the Chrysler Corporation—the name it had prior to its 1998 merger with Daimler-Benz—which will design, engineer, build, and sell Dodge, Jeep, and Chrysler brand vehicles. 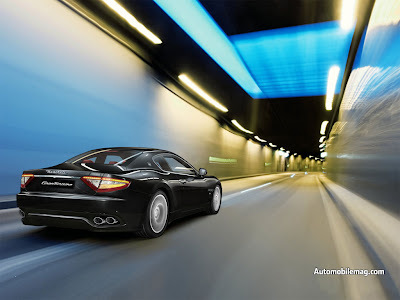 Chrysler Financial Services will be a separate entity. Both will report to Chrysler Holding, which is majority owned by Cerberus. The 20-member supervisory board of DaimlerChrysler today approved the split. After the divorce is finalized, the German parent will be renamed Daimler AG. The deal is expected to close in the third quarter. LaSorda, who retains his job running Chrysler, made it a priority to meet with union officials, media, and executives, including some from Cerberus. The CEO was kept updated in the six months he says the project was in the works, but was not directly involved in the talks and admits to being surprised himself at the speed and quality of the negotiations and final deal. He says Cerberus was chosen for its desire to grow the business and bring cash to the venture, as well as expertise in the financial and operational side of business. The message in the succession of meetings was overwhelmingly rosy—even critics such as outspoken Canadian Auto Workers president Buzz Hargrove were on board after spending time with Cerberus CEO Stephen Feinberg and others. The union president was semi-gushing by day’s end, saying workers were better off with Cerberus than Daimler. Much of his enthusiasm was fueled by a signed letter guaranteeing no layoffs as a result of the sale, and the new owner’s pledge to address one of Hargrove’s biggest pet peeves: unfair trade between North America and Asia. United Auto Workers president Ron Gettelfinger, who is on the DC supervisory board and was privy to internal information before the sale was announced, endorsed the move immediately as being in the best interests of workers.